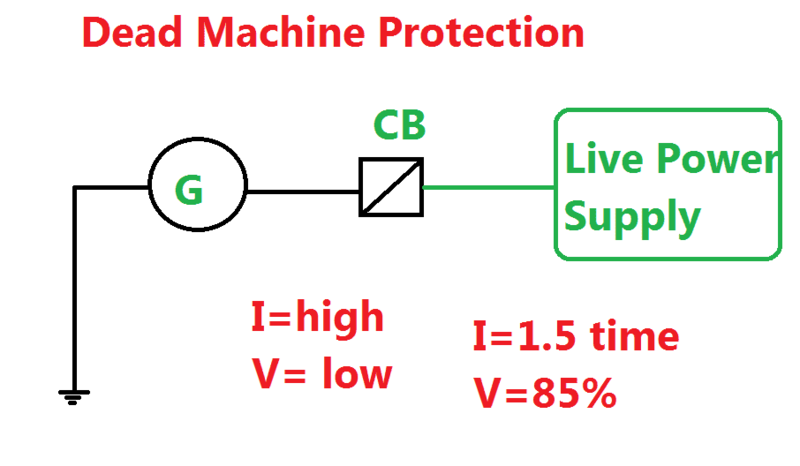 Dead machine protection is used to protect the generator or alternator from accidental circuit breaker closing when the machine in off condition Example in standstill position or rolling condition. Incase, the machine energized which means the generator circuit breaker closed during off condition, the machine takes high starting current. Typically, generator goes to motoring action. It may be few seconds, but during the off condition the generator’s thrust bearing oil pressure will be low or not present. Hence the bearing sleeve and bearing assembly may damage. Since conventional protections do not provide adequate protection when the generator is out-of-service, a dedicated high-speed protection is recommended by most major equipment manufacturers. 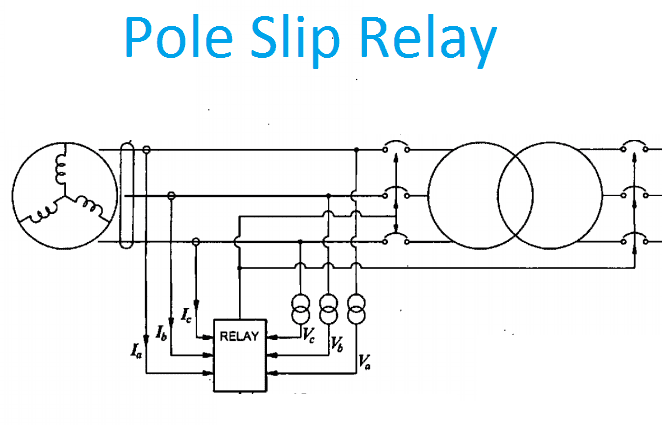 When current flow increases in an electrical circuit, simultaneously the voltage drop increase. Since when the generator acts as an induction motor, the machine starts take high inrush current. This causes the voltage across the generator terminal get reduced. 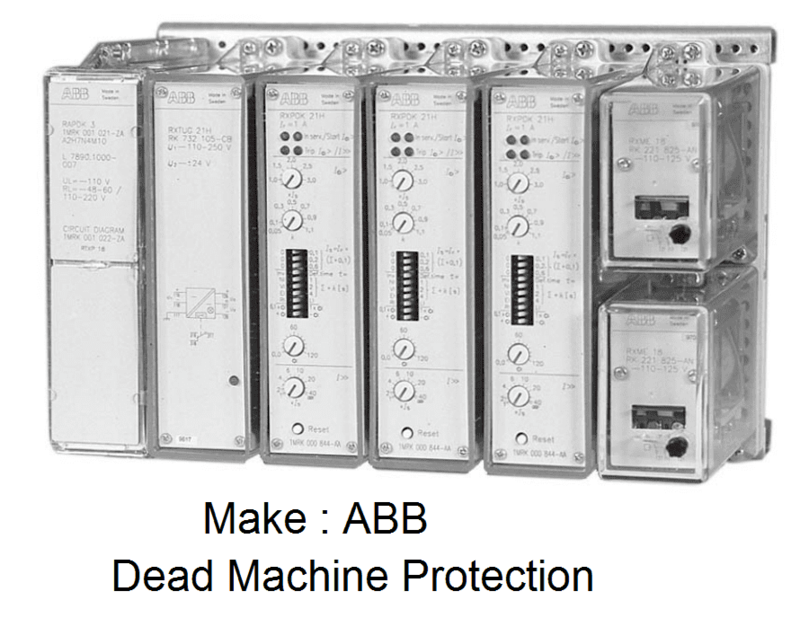 Therefore, The dead machine protection consists of an over current protection + under voltage protection. The overcurrent protection sense the current flow through the generator winding and the under voltage relay detects the voltage across the generator. The under voltage relay trips the circuit breaker, if the voltage falls below 85% of the related voltage. The Dead Machine Protection initiates the trip command to the generator breaker on stage-I but still the fault exits it gives the trip command to the upstream 110kV grid circuit breaker. Dead Machine Protection ANSI code: 94G.